Admit it. 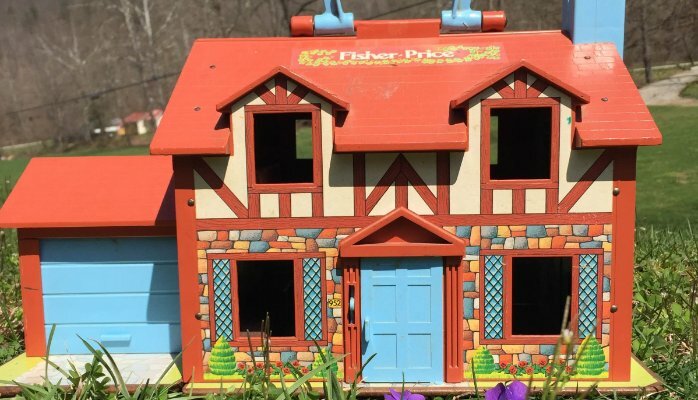 You played with one of these plastic houses when you were a kid. I always thought it was hilarious to make the little black and white dog drive the car. And remember the red barn that would "Moo" when you opened the barn door? Those were the days, huh? We had a house, a barn, and all the land in the world...and we didn't even need a mortgage for any of it! Myth #1) If I make extra payments toward my mortgage, and then need that money back...no problem...I'll just get a home equity line of credit or refinance my current loan and get some cash out. 2) Paying down your mortgage as fast as you can is ALWAYS the smartest decision. Those who know me well understand that I rarely use words like NEVER or ALWAYS when advising clients. What works for one client may not be the right fit for another. This is the case with paying down a mortgage. So, when is making those extra payments toward your mortgage a not-so-good idea? Well, for starters, if you are facing an upcoming expenditure such as college tuition, a new car, or even retirement; and you don't have the cash set aside somewhere else...pouring money into your home equity could prove unwise for the same reason as #1 above. You'd be better off sticking that cash where you know you can get your hands on it when you need to. Another reason is your career choice. If you are an entrepreneur or a business owner, for example, your situation probably warrants greater financial flexibility than that of the average worker. The key here is liquidity. A slow business cycle could mean you need to rely on available cash resources for a season. Or more optimistically, if a solid business deal falls into your lap, you need to be as prepared as possible to jump on that opportunity quickly! Home equity is not the place to keep your money in situations where cash is king. 3) Keeping a mortgage for as long as possible, making just the minimum payment, and then eventually refinancing it for another few decades is ALWAYS a great decision. Well, I couldn't only write about paying down your mortgage as I did above without showing the other side of the coin. There are those who will convince you that keeping a mortgage for as long as possible always makes better financial sense than paying it off early. They are correct; and they are incorrect. Remember, I rarely use ALWAYS or NEVER when advising. Mathematically speaking, and therefore financially speaking, it *could* be a great way to boost your savings over the long term. How? Simple. By taking money that you would have used to pay down your mortgage, and instead, investing those dollars in investments that earn a rate of return that is greater than the interest you pay on your mortgage. The catch? First, you have to make sure you actually invest those extra dollars. Many who claim this strategy is for them end up deciding somewhere along the line that they need a new car, and another vacation, and a new boat, and mysteriously they arrive at retirement with little cash, lots of toys...and of course, a mortgage payment. And second, your investments have to actually earn the necessary rate of return (and we all know there are no guarantees when investing). A disciplined investor can benefit from maintaining a mortgage and investing elsewhere for the long-haul, but if you tend to be a spender, this strategy could leave you in a pinch down the road. In summary, mortgages are just another financial tool that should be used with careful consideration. What works for you, may not work for your neighbor, and that's okay.